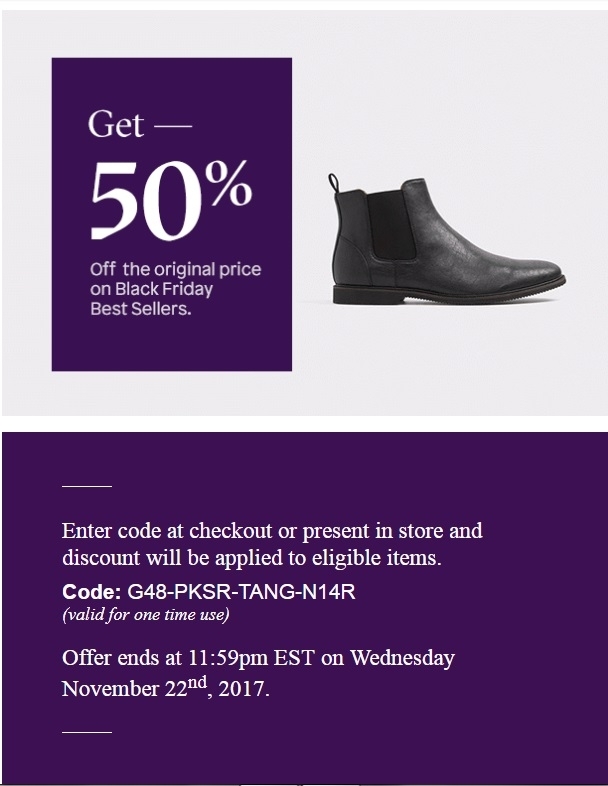 Huracan Sport Aldo is offering 50% off the original price on select styles with code mentioned above. Enter code at checkout or present at store and discount will be applied to eligible products. Valid in stores & online from November 20th through November 22nd, 2017.